Germany coach Joachim Löw and defender Mats Hummels urged Die Mannschaft to respond to an opening Group F defeat against Mexico by going all out for victory against future section opponents Sweden and South Korea. A 35th minute goal from Hirving Lozano earned El Tri maximum points against the FIFA World Cup holders at the Luzhniki stadium in Moscow, leaving Löw and Co. in a tricky position with Saturday's game against the Swedes to come. "Losing the opener is unfamiliar territory for us," Germany's tactician explained after Sunday's reverse. Indeed, in 18 appearances at FIFA World Cups, the 2014 winners had only ever suffered one opening day defeat: against Algeria in 1982. 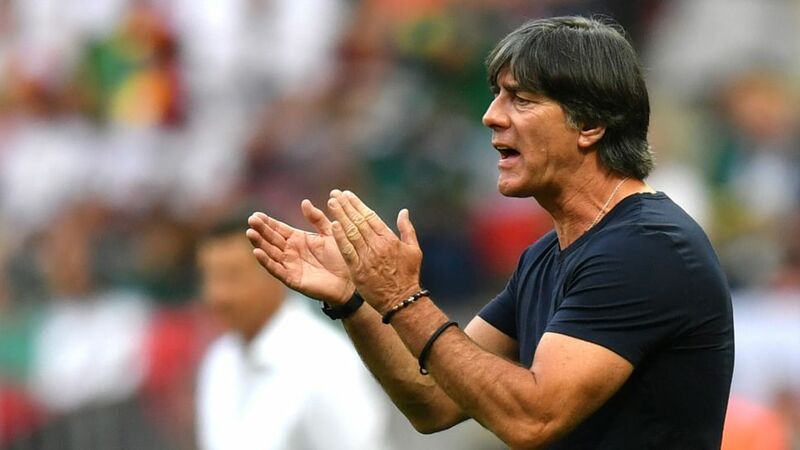 Yet despite that slip-up, Germany went on to reach the final that year and Löw is hoping his charges will be similarly defiant this time around. "There's still a long way to go. I’m convinced that we'll show a reaction," the 58-year-old said. "The mindset [against Mexico] was right, but we didn’t get into the game properly and were then on the back foot. We need to start playing to our strengths again. We have to try and get more shots off, then we won’t run into as many problems." Bayern Munich's Hummels was equally forthright in terms of what the four-time tournament winners had to do next after what he felt was an under-par performance in the Russian capital. "It’s good to get a shot across the bows, but now we have to go out and win the next two games," the defender explained in quotes appearing on the DFB website. "Mexico deserved to win because we made it too easy for them and they countered us ruthlessly," Hummels continued. The loss was Germany's first in a FIFA World Cup since they went down to Spain in the 2010 semi-finals and despite a worrying trend of having won just once in their past seven games, scoring only six times during that sequence. Hummels is confident the world champions can rediscover their winning form. "I fully expect us to show a different side against Sweden and South Korea. We have to win two games now," the recently crowned Bundesliga champion insisted. Click here to see how Germany could line-up next time out!